Microsoft addresses some immediate failings as it takes the long view of the market. Microsoft needed this E3 show to be a win for them. 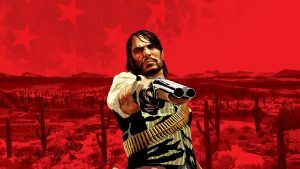 They’ve had a very rough few years, besought by studio closures, their rival extending their lead on them by more than 2:1, a widely perceived (and accurately so) lack of exclusives and diversity in their lineup, and Nintendo coming and selling more than half the Xbox One’s total lifetime sales in just a year, while also putting out a variety of compelling exclusives that, again, threw the Xbox One’s total lack of them into stark relief. The good news? Microsoft mostly stuck the landing today. The show was, first off, really damn well made and presented. It was extremely well paced, with 100 minutes of relentless game trailers and announcements, and minimal fluff and talking, which has dragged down Microsoft’s showings so much in the last few years. Microsoft promised 50 announcements for their show, and they actually followed through on that by the end. 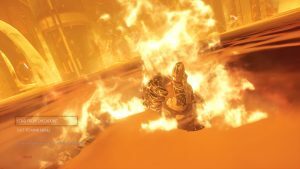 The pacing was incredible- it was hard to catch even a moment to breathe, because Microsoft showed one new game after another. There was minimal talking by Spencer or the developers, no gaffes or embarrassing moments, and the focus was, squarely, on the games. "On the third party front, Microsoft had some very notable and symbolic games get the reveal on their stage- Shadows Die Twice, From Software’s next game, got its world premier on the Xbox stage (which is a far cry from people expecting it to be a PlayStation exclusive). 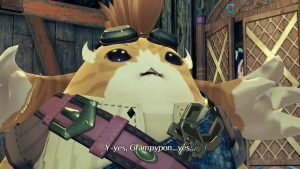 Microsoft trotted out Tales of Vesperia: Definitive Edition, and even NieR Automata was announced for an Xbox One release." And those were great games! On the third party front, Microsoft had some very notable and symbolic games get the reveal on their stage- Shadows Die Twice, From Software’s next game, got its world premier on the Xbox stage (which is a far cry from people expecting it to be a PlayStation exclusive). Microsoft trotted out Tales of Vesperia: Definitive Edition, and even NieR Automata was announced for an Xbox One release. Kingdom Hearts 3 was shown during an Xbox conference for the first time ever, and confirmed to be the best on Xbox One X. These were all multiplatform games, of course- they are either launching, or have already launched, on PS4, PC, and sometimes Switch as well- but their symbolic value can’t be understated. Showing off games like these, and Bandai Namco’s Shonen Jump crossover brawler called Jump Force, made the statement loud and clear: Xbox knows it has a weakness with first party games, and it will fight tooth and nail to not cede that advantage to Sony. As far as Microsoft is concerned, it will not let Japanese games get associated with PlayStation or Nintendo by default anymore. 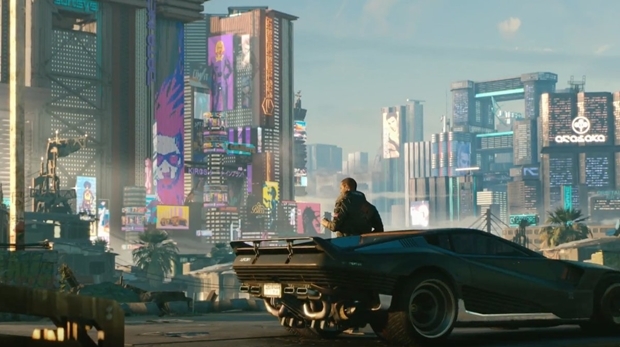 There were plenty of western third party games announced, too- from Dying Light 2 (which looks superlative) to Just Cause 4 (which also looks great), to extended showings of Shadow of the Tomb Raider, The Division 2, Battlefield 5, and of course, the world premier trailer for Cyberpunk 2077, Microsoft’s stage covered the whole gamut. And we can’t forget about the first real trailer for Fallout 76, presented by none other than the charismatic Todd Howard, which was also presented at Microsoft’s show. "There were plenty of western third party games announced, too- from Dying Light 2 (which looks superlative) to Just Cause 4 (which also looks great), to extended showings of Shadow of the Tomb Raider, The Division 2, Battlefield 5, and of course, the world premier trailer for Cyberpunk 2077, Microsoft’s stage covered the whole gamut." Then, of course, were the indie games- ID@Xbox is really coming into its own, and seeing a game like Wargroove, or Tunic, or Session, really drove home how much Microsoft is trying to diversify and flesh out their lineup and catalog on Xbox. The truth of the matter is, the breadth I have always credited PlayStation with- indie games or AAA games, Japanese games or western games- was, for the first time ever, on full display on Xbox One as well. And it’s very hard to not credit Microsoft for that. And now we get to the important stuff- the exclusives. Microsoft has an exclusives problem. This is very well known. Phil Spencer himself admits it, so trying to argue that Xbox does not is a fool’s errand. Objectively speaking, Xbox has the least compelling and fewest number of exclusives of any of the consoles. Microsoft, to their credit, decided to tackle the problem head on this E3. "The show began with a new Halo game, Halo Infinite, revealed. We don’t know much about it, but there’s a new Halo project in development, and we at last know what kind of direction 343 Industries wants to take." 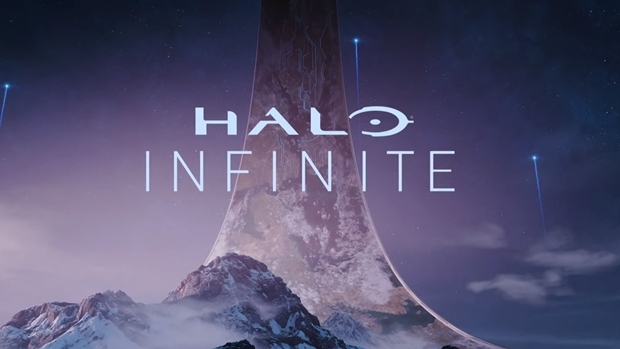 First, the usual suspects- the show began with a new Halo game, Halo Infinite, revealed. We don’t know much about it, but there’s a new Halo project in development, and we at last know what kind of direction 343 Industries wants to take. Crackdown 3 was given a new trailer that looked far better than its previous showing, with its February date reiterated. Ori and the Will of the Wisps looks gorgeous and more melancholic than its predecessor, and is due out next year. Forza Horizon 4 was revealed, and it looks fantastic, evolving the formula with a dynamic world, Cuphead got a new DLC announcement, as did Sea of Thieves, PUBG was confirmed to be hitting Xbox One with a final release (so not the Early Access one) this Winter, and we got the announcement of a Gears of War 5 as well. All these games looked great- but I have to be honest, if this had been it, I would have been pretty mad at Xbox, again. Because, see, this is the same problem Xbox has had with exclusives for year- they’re regurgitating the same stuff over and over, and it doesn’t matter how good they look, Xbox desperately needs something fresh. As I said, Phil Spencer agrees- which is why there was what I think is the single most important announcement that was made for the future of Xbox at this show- five new first party studios, bringing the total to ten, doubling Microsoft’s portfolio. In addition to Turn 10, 343 Industries, Mojang, Rare, and The Coalition, Xbox will now also have Compulsion Games, Undead Labs, Playground Games, The Initiative, and Ninja Theory. This is hugely important- it means Microsoft now has the potential to put out more games, more varied games, games that give players a reason to invest in the platform beyond just fans of Halo and Gears. It addresses their first party problem. 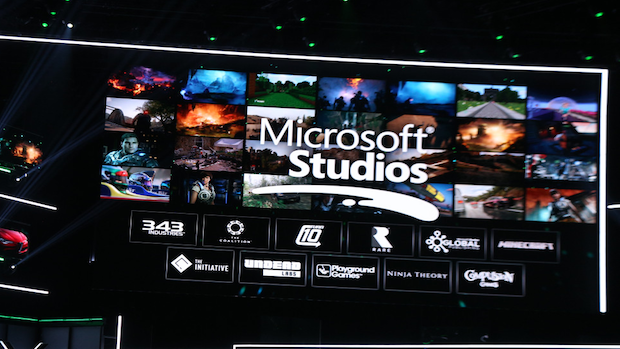 And while Microsoft had nothing to show from any of these studios yet, since game development takes time, and it will be years before they have something to demonstrate, it was a statement of intent, and one of assurance for the future- Microsoft is in this for the long run. It wants to stay in the market and it knows it needs to invest in studios to address its weakness with games if it is to do that. And these five studios are going to be instrumental to putting Microsoft in a far better position going into the launch of the next Xbox. "Microsoft is in this for the long run. It wants to stay in the market and it knows it needs to invest in studios to address its weakness with games if it is to do that. And these five studios are going to be instrumental to putting Microsoft in a far better position going into the launch of the next Xbox." Oh, yes. They also talked about the next Xbox. We know nothing about it yet, but Phil Spencer confirmed it is in development, and that it’s by the same team that built Xbox One X- which I assume is meant to assure us that it will be a games focused backward compatible console packing in a lot of power. Again, this console won’t be out for years- but it’s an assurance that Microsoft intends to stay in the market for the long run, and it is willing to finally put its money where its mouth is to do so. I have to give them credit for that. Yes, they are late to that realization, and then on acting on it- but they’re doing it, and that is commendable and laudable. They’ve taken a good long look at their problems, and they have decided to publicly own up to them and address them. 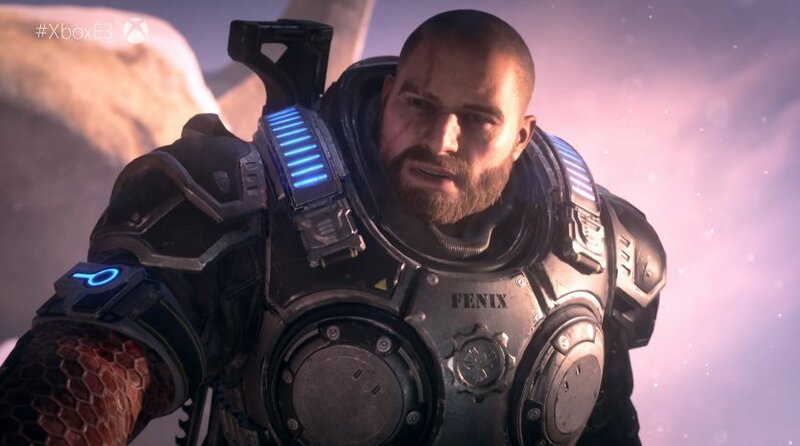 They’ve shown that their problems that they are working on fixing are going to take time- games aren’t made overnight- but in the meanwhile, in the near future, Xbox is still going to be getting some cool stuff. Great Japanese content, great indie content, great western games, and their own first party games, such as they are, all while Microsoft prepares to hopefully come out winging next gen. And they did all this in a tight, smartly paced, well produced, no nonsense and no filler E3 press show that easily ranks as one of their best one in years. Good job, Microsoft.